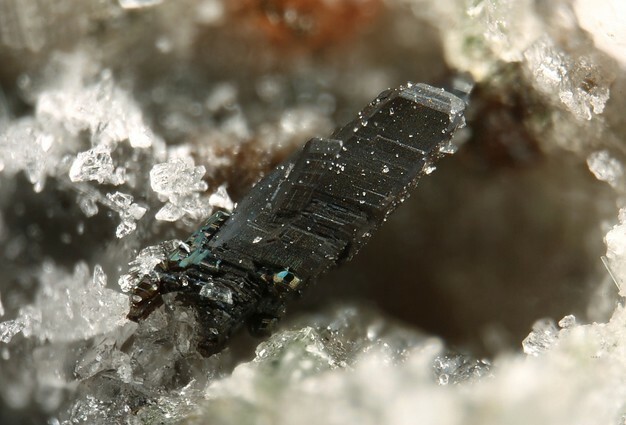 Pyroxferroite: Mineral information, data and localities. Named in 1970 by Edward Ching-Te Chao, Jean A. Minkin, Clifford Frondel, Cornelius Klein, Jr., John C. Drake, Louis H. Fuchs, B. Tani, Joseph V. Smith, A. T. Anderson, Paul B. Moore, G. R. Zechman, Jr., Robert James Traill, A. G. Plant, J. A. V. Douglas, and Michael R. Dence for the mineral's iron-rich relationship to pyroxmangite. Gahnite 3 photos of Pyroxferroite associated with Gahnite on mindat.org. Calcite 3 photos of Pyroxferroite associated with Calcite on mindat.org. 14.22.8 Julgoldite-(Fe2+) Ca2Fe2+Fe3+2(Si2O7)(SiO4)(OH)2 · H2O Mon. Edward Ching-Te Chao, J. A. Minkin, Clifford Frondel, Cornelius Klein, Jr., J. C. Drake, L. Fuchs, B. Tani, Joseph V. Smith, A. T. Anderson, Paul B. Moore, G. R. Zechman, Jr., R. J, Traill, A. G. Plant, J. A. V. Douglas, and M. R. Dence (1970) American Mineralogist: 55: 2137. Geochemica et Cosmochimica Acta: 34(1): 65-79. Burnham, C. (1971) The crystal structure of pyroxferroite from Mare Tranquilitatis. Supplement to Geochemica et Cosmochimica Acta: 34(2): 47-57. 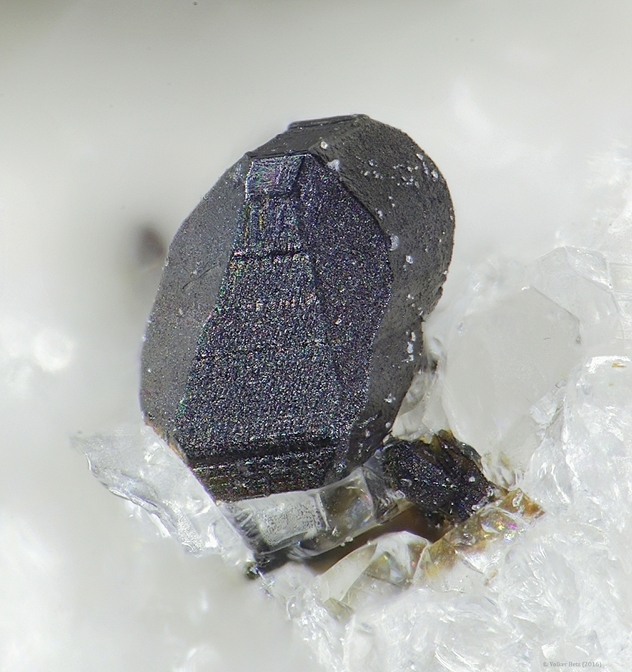 Nikischer, Tony and Joe Orosz (2007) Lunar Mineral Found at Franklin, Sussex Co., New Jersey. Mineral News: 23(8): 1, 2, 9, 14. McSween Jr., HY & Treiman, AH (1998) Martian Meteorites. In: Planetary Materials (Papike, JJ - Ed. ), Chapter 6: 1-53: Mineralogical Society of America, Washington, DC, USA. Ahven, Marja (2012) Rautalammin Kiviniemen granaattipitoinen ferrogabbro. Pro gradu tutkielma. Geotieteiden ja maantieteen laitos, Geologian osasto, Helsingin yliopisto. Mancini, F., Alviola, R., Marshall, B., Satoh, H., & Papunen, H. (2000). The manganese silicate rocks of the early Proterozoic Vittinki group, southwestern Finland: Metamorphic grade and genetic interpretations. 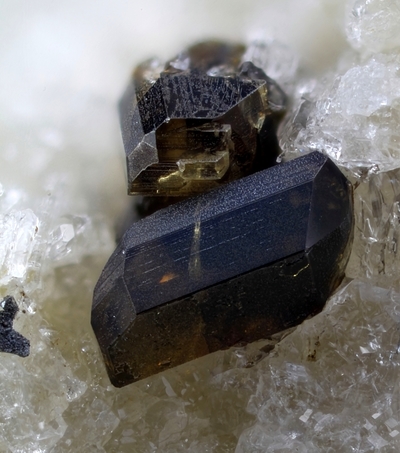 The Canadian Mineralogist, 38(5), 1103-1124.; Heikkilä, Pasi 2003. Vittinki-ryhmän metaserttien geologia ja mineralogia Etelä-Pohjanmaalla. Pro gradu, matemaattis-luonnontieteellinen tiedekunta, Geologian laitos. Helsingin Yliopisto. Yamada et al (1980), Chigaku Kenkyu: 31: 205-222. Taylor, L. A., Nazarov, M. A., Demidova, S. I., & Patchen, A. D. (2001). Dhofar 287: A new lunar mare basalt from Oman. Meteoritics and Planetary Science Supplement, 36, 204. Yukio, I., Makoto, K., Hiroshi, T., Gen, S., Kita, N., Yuichi, M., ... & Gerlind, D. (2006). 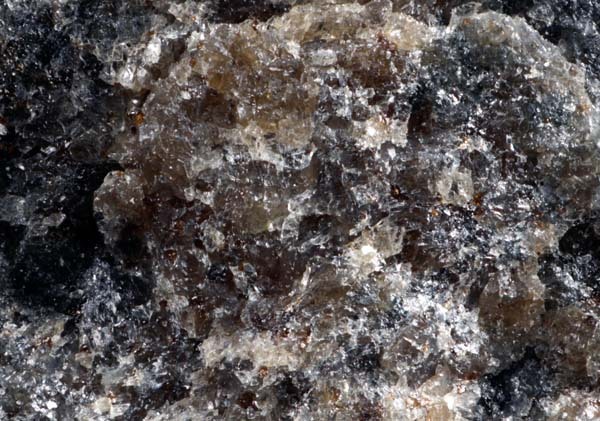 Petrology of a new basaltic shergottite: Dhofar 378. Antarctic Meteorite Research, 19, 20-44. Longhi, J., Walker, D., Grove, T. L., Stolper, E. M., & Hays, J. F. (1974) The petrology of the Apollo 17 mare basalts. In: Lunar Science Conference, 5th, Houston, Tex., March 18-22, 1974, Proceedings. Volume 1. (A75-39540 19-91) New York, Pergamon Press, Inc., 1974, p. 447-469.